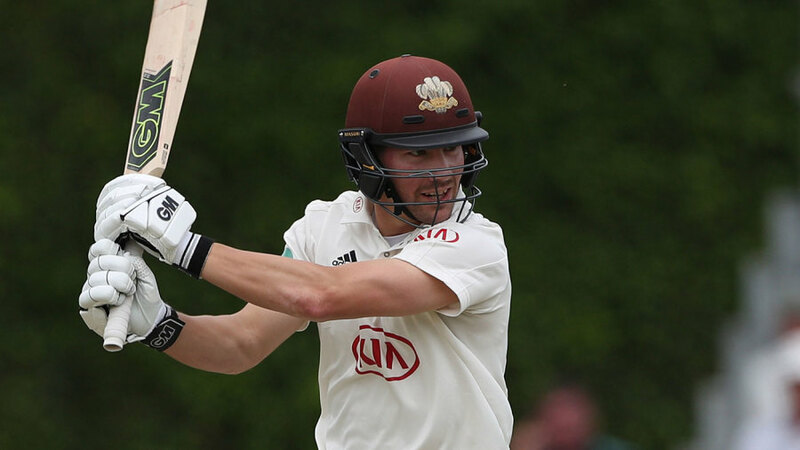 Burns fell for 98 and Pope was dismissed for 69. but with Jacks following up his first-innings 88 by thumping two sixes and six fours in a solid 54, Surrey batted out the final day to reach 324 for 6 declared – an overall lead of 271. Rikki Clarke remained unbeaten on 25, with Tom Curran keeping him company on 22 not out and hitting Tom Westley’s offbreaks for two driven sixes and then a cut four from what proved to be the last three balls of the innings. Surrey’s declaration enabled them to bowl one over at Essex, who didn’t score a run or lose a wicket in their second innings before hands were shaken, thus avoiding an over-rate points deduction. Stoneman had added just a single to his overnight 34 before being bowled off the inside edge by Peter Siddle in the morning’s second full over and, in the next over, fellow left-hander Patel was dismayed when, on 1, he mishit a pull at a short ball from Harmer to midwicket where Nick Browne took a leaping catch. Burns, who started the day on 34, also batted with fluency on a still-sluggish surface and, when he was fourth out, the England Test opener had faced 166 balls, hitting 13 fours. Pope’s sparkling innings, meanwhile, occupied just 80 balls with a six and 11 fours in total. Surrey, who had hit 395 in their first innings, took 11 points from the draw, while Essex – who replied with 448 – should be happy to have banked 13 points after being defeated by Hampshire in the opening week.